Read on to find out how you can win a copy! Is it when I was five, putting together little books of stories at my tiny desk? Or thirty-one when I self-published my first book. And a little voice said “Womancraft Publishing” in my ear, when I had to fill in the publisher name on the online form? 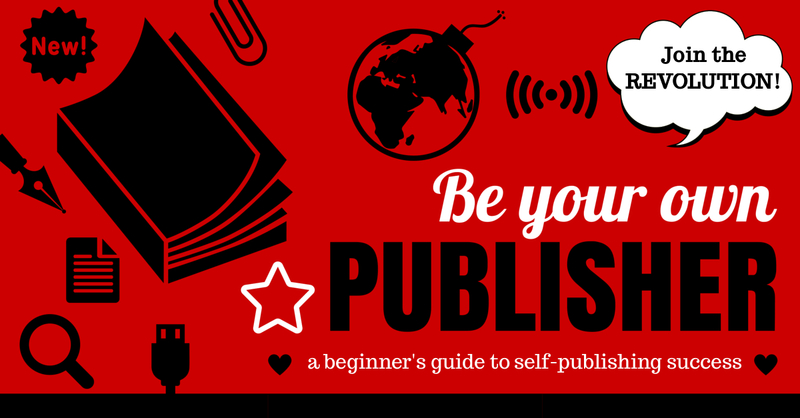 Or earlier this year when I quit my magazine publishing job that I had held for nearly six years, opening up space for our publishing company to be born? Three weeks later my husband and I were on a plane to the London Book Fair, business cards in hand. Nine months later here we are: Womancraft Publishing. We publish life-changing, paradigm-shifting books by women, for women. Our first two books are out this month, and we are pretty much booked up for 2015 with incredible proposals from awesome women with powerful messages! With more coming in every week. Our first book, The Heart of the Labyrinth is being launched to over a thousand global changemakers at the world-famous Jumeira Hotel in Dubai today. Paulo Coelho will be sharing it on his personal blog! As will numerous other respected thought-leaders. Before the official launch has even started it is #4 on Amazon.co.uk in its category. To say we are excited is an understatement. 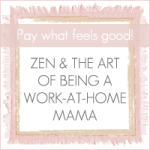 It has been a steep learning curve – and one filled with miracles. “I can’t put it down. This is just what I needed to read right now. A really important book and one that should be seen by many.” Lynne Franks, author, entrepreneur and women’s empowerment guru. “This book is alchemical, confronting and illuminating. 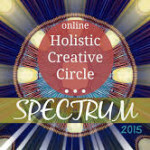 Read it and relish the journey.” Clare Dakin, Founder, TreeSisters. “Once in a while, a book comes along that kindles the fire of our inner wisdom so profoundly, the words seem to leap off the page and go straight into our heart. If you read only one book this year, this is it. AND START READING IT RIGHT AWAY! Click on the book… and we’ll send you a link to your FREE SAMPLE right away! PLEASE, PLEASE TAKE A MOMENT AND SHARE THIS BOOK WITH EVERYONE YOU THINK IT WOULD TOUCH. IT HAS THE POWER TO CHANGE LIVES…AND SHIFT CULTURES. The Heart of the Labyrinth is a book for our times. A new spiritual classic for those those experiencing inner transformation… and wanting to know how it relates to the changes happening on a bigger scale. For those looking to reconnect with the Earth and reclaim the feminine as powerful. It is a must-read for changemakers and spiritual seekers – offering profound insights and lessons. I first met author Nicole Schwab online at a women’s leadership teleseminar. Womancraft Publishing had only launched a few days earlier. She submitted her book within hours. And it instantly captivated me. It was reminiscent to me of the work of Paulo Coelho, Lynn V. Andrew’s Medicine Woman series and The Celestine Prophecy. 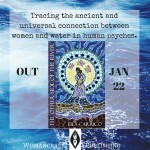 Filled with exotic landscapes, powerful spiritual lessons, beautiful writing… this was the work of a woman of deep soul, and understanding of the human condition, who spoke of the divine feminine in language which resonated with my own understanding (see her post today on The Happy Womb).This book had to be in print. And I was honored that it was being offered to Womancraft Publishing, as our first book. Nicole’s work is in the tradition of many spiritual teachings: using story or parable as a vehicle for transmitting profound truths direct to the soul. And in the tradition of many women’s writings, she blurs the lines between traditional genres of fiction, non-fiction and poetry. She weaves stories within stories. Dreams, visions and different lifetimes, are blended in a rich satisfying narrative which nourishes the spirit and mind. alth and adrenal fatigue, traveling an eerily similar journey to the book’s protagonist, Maya. I foun d myself looking again at my own life, work, and inner workings, and found Nicole’s teachings hugely prescient, and insightful and deeply helpful on a personal level. It was as though the book I most needed, had landed right in my lap. And I had the privilege of working on it, shaping and crafting it, shining its beautiful facets. This happened again when I was proofreading it. It is a powerful book. I wholeheartedly commend it to you as a soulful companion on your journey. May it be the guide you need in your inner explorations. 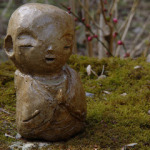 May it help you see yourself and your inner life with new eyes, develop your ecological awareness, your connection to Source and the divine feminine, helping you to reclaim your spiritual nature embedded in this precious Earth that we live on. 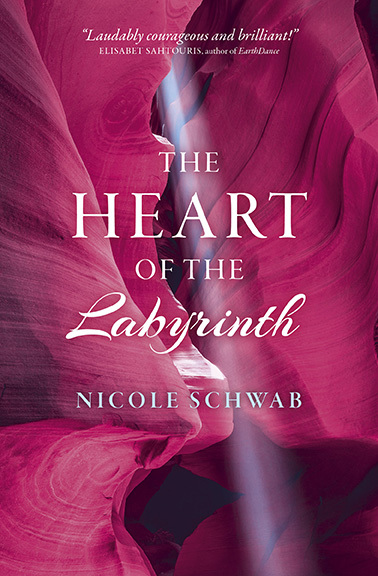 The Heart of the Labyrinth is available to buy everywhere – online and offline, e-book or paperback. And, naturally, direct from us. If your bookshop doesn’t have it in stock, then they can order it for you. Wherever in the world you are! Once you’ve read it, do be sure to leave us a review on Amazon or Goodreads! Your feedback matters to us. Everyone who signs up here to receive a sample copy, between now and midnight (GMT) Wednesday 12th November will be entered into the prize draw. We have 2 paperbacks and 5 e-copies of Womancraft Publishing’s first book, The Heart of the Labyrinth, up for grabs! Those who had previously signed up to the mailing list can still enter. Either by leaving a review on Amazon. OR sharing this post on social media and leaving a comment below to say which you have done. Winners will be notified by email by 5pm (GMT) Friday, 14th November. Received 2 copies today, just about to settle down and start reading. Will be the first fiction I’ve read for many years. Have shared post widely with friends and groups on Facebook and would love to go forward into the draw please. Thanks Jayne – do hope you enjoy it! You were entered into the draw, just didn’t get a chance to reply here till now!